Do you ever feel that you don't have a unique personal brand? Have you ever felt a disconnect between what people thought and who you are inside? Ever wonder if there is more to a person's signature look than meets the eye? In today's episode of "Why It Works," Larry Boyer, founder of Success Rockets and a leading authority on the Fourth Industrial Revolution, reveals some of the hidden mechanisms behind personal branding. We explore the how advances in technology make branding more important than ever, the power of knowing and leveraging your authentic brand, and how better branding contributes to a bigger payday. Larry Boyer has spent a lifetime developing the knowledge, skills and himself to talk with us about why personal branding is the key to succeeding during the Fourth Industrial Revolution. Physicist, economist, technologist, strategist, leader and coach, all wrapped into one, to help us understand the breadth and depth of the coming technological and economic disruption. He founded Success Rockets LLC in the wake of the Great Recession after seeing how many people’s lives were completely changed, many literally overnight, as company after company failed. His mission is to help people better understand the business climate their financial well-being depends on and develop strategies to help them prepare and navigate the disruptions. He also advises businesses on navigating the changes through business strategy and leadership development. 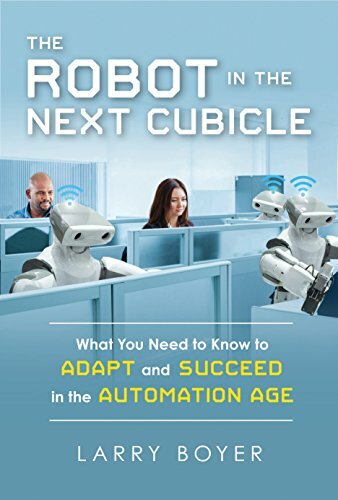 Larry is the author of The Robot In the Next Cubicle: What You Need to Know to Adapt and Succeed In the Automation Age. He is a Certified Business Economist™, an ICF certified coach and Reach Personal Branding Strategist. He is on the Advisory Boards of the Rutgers Big Data program and TECH Pakistan and is a member of the Forbes Coaches Council and co-leader of the ICF’s Coaching Science Community of Practice. 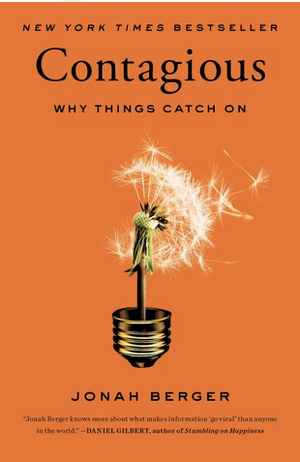 A great book to go with this episode is New York Times Bestseller, Contagious: Why Things Catch On, by Jonah Berger. If you prefer paper, Kindle or are already an Audible member, no problem, buy the book here.